You can read above the text of the "Third Secret" released by the Vatican in 2000. This text has been endorsed by John Paul II and "Sister Lucy" as she appeared at Fatima in the Year 2000, supposedly at the age of 93. 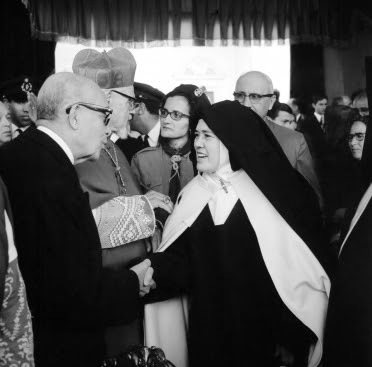 The woman who was put forward as "Sister Lucy of Fatima," from 1967 on until 2005, was most known for her adulation of John Paul II. This adulation was demonstrated in her happy, smiling, and enthusiastic meetings with John Paul II from 1982 to 2000, in her holding hands with John Paul II for some two hours ---- in full light of the cameras ---- in 2000, her awkward and borderline sacrilegious attempt to kiss John Paul II's hand right after he gave her the communion wafer at Fatima in 2000 --- someone that supposedly received holy communion from an angel and was told to prostrate herself before the Blessed Sacrament because of its overwhelming holiness --- her immediate embrace of the two envelopes in 2000, that were brought to her by Cardinal Bertone and supposedly "contained" the "Third Secret." This fawning adulation continued until her very death bed in which she embraced a letter sent to her by the equally dying John Paul II --- remember, he was the man who, probably the first cleric in the history of the Church, allowed the Buddhist to put an idol of Buddha upon the tabernacle, at St. Peter's church in Assisi in 1986, so that the Buddhists could worship it there. 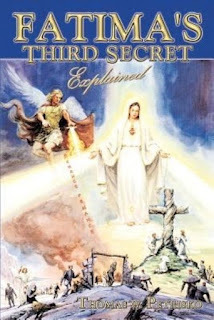 Her endorsement of the released "Third Secret,"which she had said must be released by 1960 "since it will be clearer then," was a further act of near-hyperdulia offered to John Paul II as the central figure of the Third Secret. It was all about him. One thing that strikes me is that this "Sister Lucy" kept the world in suspense for some 55 year waiting for the message of the Third Secret. 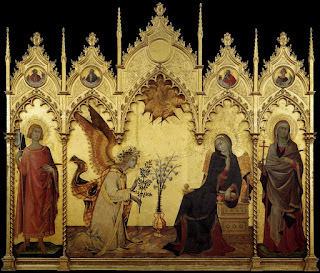 In light of the message above, this wait was a meaningless one since the message is convoluted and has absolutely no practical significance for the members of the Mystical Body of Christ. In this regard, Sister Lucy Truth Update: Just last night the Investigator was attempting to schedule a date for the analysis of the writings of "Sister Lucy" and the text of the Third Secret. I know, I know, "why is everything taking so long?" All I can say is, that it just is but I am trying to get all the materials analyzed by the experts and finished as soon as possible. Website is also being constructed. The modern age has learned well that the media is the message. They who control the images control the perceptions and the perceptions become reality. Of course bad men would understand this all too well. It is certainly interesting that JP2 was destined to become an actor before he changed course . If you know how to control the images then you also know that you can also create the images...all the world is a stage. 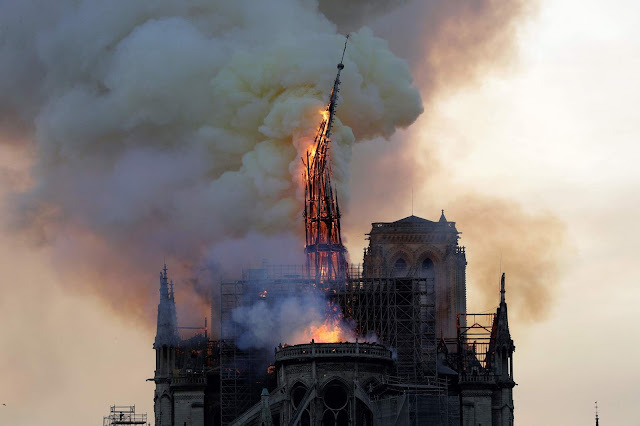 So two actors JP2 and the fake Lucy, supported by a whole lot of stagehands, have created this false play within the play,( the big play being the takeover of the church in 1958 and the Council). The man that gave us catholic woodstock and a brand new devotion was a real image creator. I think the aura begin to fade away when I begin to ponder the "hidden hand of Mary" that supposedly saved him. Really? The very controlled MSM and catholic media just went along with this fantastic claim. I wonder if the whole event that day was anything other than an elaborate staged deception, much like the fake Lucy play. 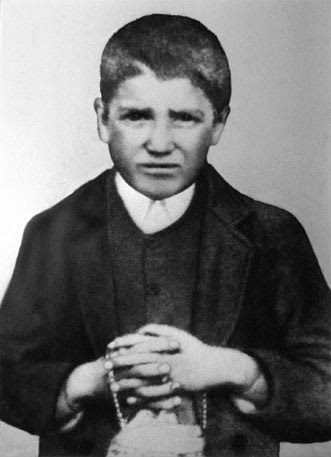 Of course it was all about him because opus dei was all about him and Mother Celine of the nuns in Coimbre stated after the " Lucias "death that THEY were all opus dei cooporators in the convent. Escriva said in his book that it was Lucia at Tuy as a Dorothean who told him to open the first OD House outside of Spain in Coimbre ,Portugal , assuring him she would handle all the Visas and paperwork. John Paul Two allegedly went and kissed Escriva's grave after he was elected Pope. That indicated to many that Opus Dei was very influential in his election . 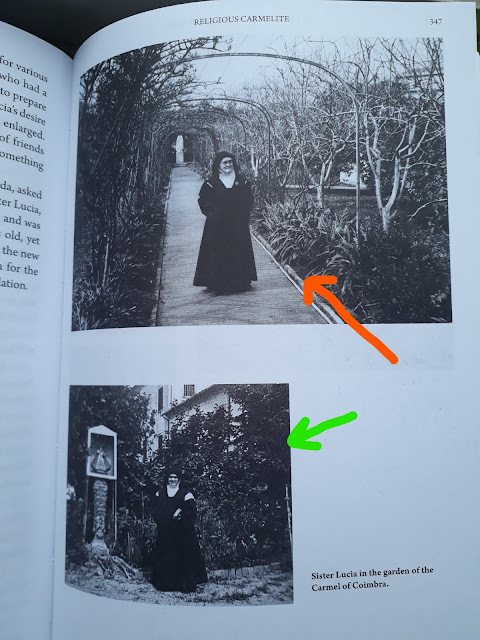 Odd that a relatively uneducated nun, who was reportedly happy as a Dorothean for 23 years, should suddenly become an Escriva enthusiast shortly after she put the Third Secret to paper and sent it to her Bishop for the Pope. Anonymous, Let us not forget we were treated to two actors .One as President and another as Pope. Church St Catherine's in VA and was credited with convincing Reagan to run for the Presidency? Hanssen was also a parishioner as was the then head of the FBI Louis Freeh. I wonder what ran through the traitor's mind when he decided to trade US secrets with the soviets for diamonds? Could he have been disillusioned by all the back room deals trading a false destruction of Communism , albeit a shedding of soviet satellites nations for access to the globalized free trade table? Possibly maneuvering in the Vatican and the US government to credit both former actors with the notion the Consecration of Fatima was completed as Holy Mother requested? How many remember the Catholic media ( controlled by or owned by Opus Dei members) announced how Reagan had a statue of the Blessed Mother in the Oval Office and referred to it as ,"His gal"? Or that Gorbachev was secretly a Baptised Christian and later secretly a Baptised Catholic ? An error most did not notice when Gorby corrected the Press after a visit to Assisi with his daughter, that the reports were false and he remained a Communist atheist. The propaganda that was dumped on the people, especially Catholics from the media was suffocating. How many saw Arroyo's interview with Justice Clark about his book crediting the fall of communism to Pope JP2 and the CIA who worked with Nuncio Pio Laghi at the time to funnel monies to Lech Walesa and Solidarity? If I remember correctly they were called the Cappuchino Meetings. How many Catholics took note when it was revealed the Noble Prize winning Walesa was a communist agent code named "Bolek"and that the Poles struck his name from the "Book of Remembrances' in the fight against communism? The following Polish President , Walesa's one time friend and a Roman Catholic, noticed and spoke so much about it that Walesa said publicly that someone needs to shut him up. He died along with his cabinet a short time later in the Moscow woods in a plane accident. enemies no matter where they are in the world? Why is Communist China now a rising threat ? How is it we now see communism filtering into the Democratic Party and becoming popular with so many young college students here? 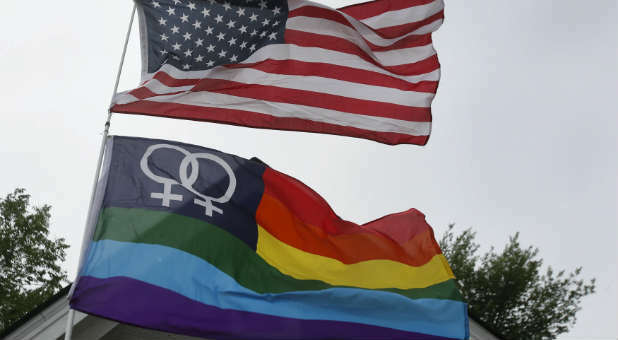 Look at what Borgolio has done and true to the communist playbook now saying no homosexuals should be allowed in the seminaries ! Yep , the fix was in ! They just count on a public with short memory spans. It was all indeed , "Theater for the West." under the title of "Perestroika" and not the Triumph of the Immaculate Heart , just yet !